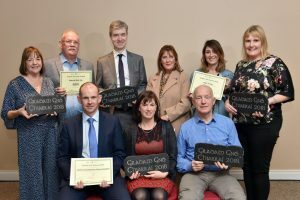 The winners of Gradam Gnó Chiarraí 2018 were announced during Oireachtas na Gaeilge Thursday the 1st November. 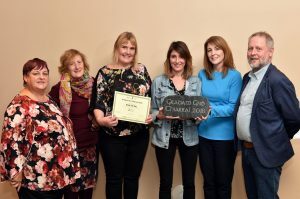 Glór na nGael is delighted to be a part of this initiative that gives recognition to businesses that use Irish in their work throughout the year. 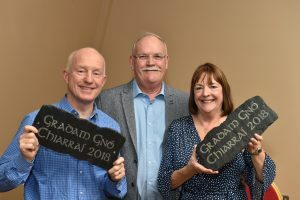 Sponsors awarded each winner an advertising/monetary package valued at €500 along with a specially designed Gradam Gnó Chiarraí 2018 slate plaque at 8.00pm in the Brehon Hotel, Killarney. 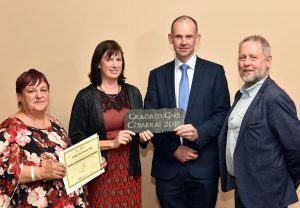 Kerry County Council’s Oifig na Gaeilge administer Gradam Gnó Chiarraí in partnership with Glór na nGael who are in charge of the adjudication of the awards. 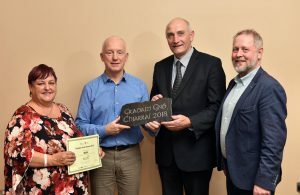 Nine companies were nominated for this year’s Gradam Gnó Chiarraí… Seacláid na Sceilge; Supervalu Lios Tuathail; Valentia Ice Cream; Brian de Staic Teo; Bricín; Killarney Guided Walks; Aniar TV Teo; Comhar Chreidmheas Chorca Dhuibhne; Mac Domhnaill Dental and Puffin Childcare. 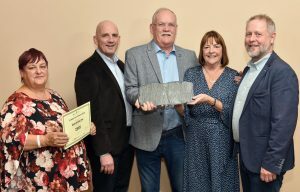 The categories and their sponsors are – Tourism by Kerry’s Eye; Services by both Radio Kerry and The Kerryman; Gaeltacht by Údarás na Gaeltachta and non-Gaeltacht by Kerry Local Enterprise Office. 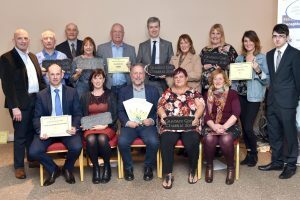 The following are this year’s winners of the awards and their sponsors…. ‘Use of Irish creates a distinctive image that can give your business a marketing edge and attract new customers. 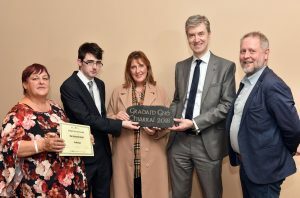 The Irish speaking and Gaeltacht communities are often looking for services in their language and it is worthwhile catering for these growing audiences’ arsa Roibeard Ó hEartáin, Oifigeach Forbartha Gaeilge Chomhairle Contae Chiarraí. 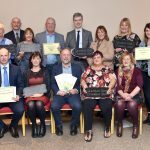 Supports are available from Foras na Gaeilge and Údarás na Gaeltachta, opportunities for publicity on www.ciarrai.com and Glór na nGael are available to advise you on how best to develop Irish in your business.